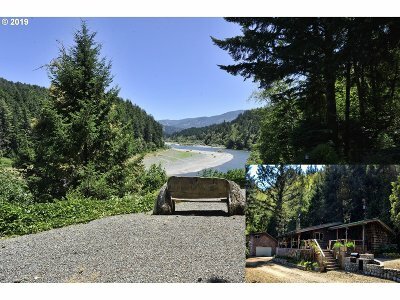 Tranquil Rogue River front home, sit and watch the Osprey, Eagles, fishermen drift along famous Dunkleberger Riffle, or wander the gravel bar searching for agates. Single level home with mesmerizing views of the Rogue. Fantastic Rogue River rock fireplace, custom kitchen cabinetry in the 3 bedrooms 2 bath main home sold furnished. Garage/shop is big enough for your cars and boat. Bonus room above shop is perfect for hobbies or guests.